Mark Hayward has been a variety arts performer since 1990. He is a World Yo-yo Champion, a member of a World Champion Juggling Team, and a Spin Top Champion. His mom is proud. 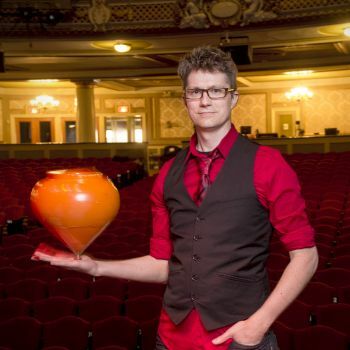 Mark has traveled the world with a yo-yo on his finger (well, mostly in his pocket), and has made appearances on The Late Show with David Letterman (twice), The Late Late Show with James Corden, America’s Got Talent, and the NBC Nightly News (without committing a crime). Someday Mark hopes to perform for both the President and the Queen. Not being a convicted criminal should help with that.